As such, we understand that fragrance has the power to transform an ordinary space to a special one that keeps you happy, satisfied and calm. First thing in the morning. all you need is the scent of Emerald Rain to channel your inner calm that stays with you throughout the day. Imagine on a hot summer day, you are greeted by the aromas of Apricot Sorbet, a sweet, cool, fresh fragrance. You're coming home from the office, you open the door and get a whiff of Vanilla Chiffon, a rich, velvety smell. The earthy smell of Amber Cedarwood takes you back to your childhood camping trip by the lake. The nostalgic memory calms you. At the end of a hard week, when you need to get away, Beach Breezes will take you to your favorite vacation spot by the sea. Everyone needs to pamper themselves every once in a while. With Midnight Tuberose, you'll feel as if you just walked into a deluxe, luxury spa. Our fragrances contain no solvents or added chemicals, providing an authentic, true-to-life fragrance experience. 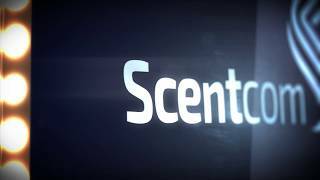 Unlike heated plugins, our technology keeps your room smelling consistently fresh – all month long. With a rechargeable battery, you can take your Scentcom with you. Place it in your home, your office, or even in your car. With our mobile app, you can connect and control your Scentcom remotely, and pre-program your device to operate automatically. Our product will be available for purchase online soon. Send us a message using the form below and we will get in touch.